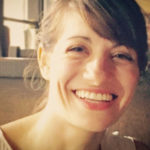 Karli Petrovic is a freelance writer and former editor for Greenhouse Grower magazine. 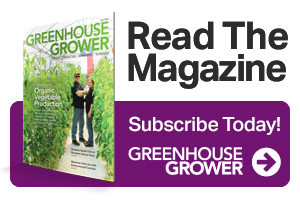 From fully automated deepwater culture to vertical growing systems, growers and manufacturers weigh in on tools for producing top-quality vegetables and greens. The latest decorating trends indicate consumers want hassle-free, colorful plants with big flowers — and growers are finding unique ways to cash in on these luxury-item sales. From Supertunias to Superbells, this innovative Japanese breeder has used wild genetics to create game-changing plants that help consumers reconnect with the beauty of nature. As the greenhouse produce industry continues to work toward keeping up with year-round demand for locally grown food, growers are finding that natural pollination is one way to increase yield, improve fruit quality, and reduce labor. As consumers continue to focus on sustainability, growers need cost-effective media additives and options that produce high-quality plants, all while conserving precious natural resources and reducing the grower’s carbon footprint. The Foundation of Cannabis Unified Standards (FOCUS), is an independent, third-party, not-for-profit organization, is in the process of developing cannabis-specific standards for everything from cultivation and extraction to packaging and retail. A largely unregulated sector of the industry, state departments of agriculture, biocontrols companies, and other industry pros are dedicated to helping growers make the right pesticide decisions for their operations. In the Internet era, Briscoe and Kenan White knew they had to adapt or die and specialize to survive. Here’s how they took The Grower’s Exchange online. Growers from Pennsylvania, Illinois, and North Carolina describer their experiences trialing everyone’s favorite holiday season flora. Industry experts discuss the latest trends to help ensure 2016 is your best year yet. From increased automation to new soil amendments and water-saving technologies, media manufacturers offer sustainability-focused solutions to meet growers’ unique needs. From biomass boilers to hydronic-heating systems, growers have a range of options to fit their operation’s unique needs. Here’s what five manufacturers had to say about the latest trends. Summer is in full swing, and that means growers need to worry about protecting plants and greenhouse employees from brutal temperatures. No sweat! These product manufacturers have offerings to help beat the heat. Protecting your plants from the latest threats is no easy task, but new product lines promise to safely and effectively eliminate a wide range of pests and diseases, without harming your employees or the environment. From heating systems to circulation fans, manufacturing companies are finding new ways to help growers control the greenhouse environment, save on energy costs and streamline production. One way to reduce energy-related costs in the greenhouse is to conduct self-audits on a regular basis. These energy audits allow growers to identify potential savings by checking various production systems. To ensure your operation is running efficiently, check out these resources for help with your energy audit.